Learn about Nashville, Tennessee, by reading Nashville - A Vacation With Strings Attached by Charlie Spence, Aviation Writer. It features a mini, but thorough tour of the destination, plus all you'll need to know to plan your trip including getting there, objective information on places to stay and eat, and things to do. At the end of the article, we've provided a summary of the contact information for your easy reference. Enjoy! Country music fans all over the world know Nashville, and each year this "Music City" attracts millions of visitors to the home of not only country music but fine restaurants, fascinating museums, exciting amusement attractions, and homes of presidents. Nashville became known as "Music City" when WSM radio announcer David Cobb gave it that nickname in 1950 on Red Foley's NBC radio broadcast. But the city was well known for its musical heritage long before that. In 1925 the National Life and Accident Insurance Company founded a radio program over radio station WSM. Its name at that beginning was WSM Barn Dance. It continued for two years under that name. The Saturday night program followed a broadcast from New York that consisted mainly of classical music. Opening the Barn Dance program, announcer George Hay quipped, "For the last hour we've been listening to music taken largely from grand opera and the classics. We now present our own Grand Ole Opry." The name stuck. The program has been aired continuously since 1925. It's the world's longest running radio program and still available for you to watch performed at Grand Ole Opryland, a modern amusement park just northeast of the city. The Grand Ole Opry production moved to this amusement park in 1974 after more than 30 years at the Ryman Auditorium, a place you will want to visit. 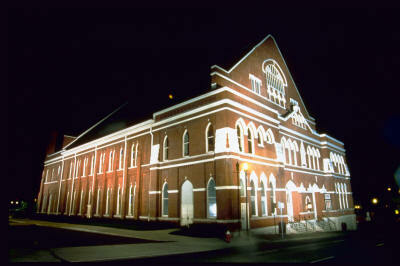 Ryman was constructed originally as the Union Gospel Tabernacle. When the Grand Ole Opry moved into it, this past use prompted the nickname "The Mother Church of Country Music." Most of the fine musicians and entertainers of country and western music appeared on its stage. Daily shows are presented at Opryland, but if you want tickets to see the Grand Ole Opry broadcast, its best to buy your tickets on line in advance. 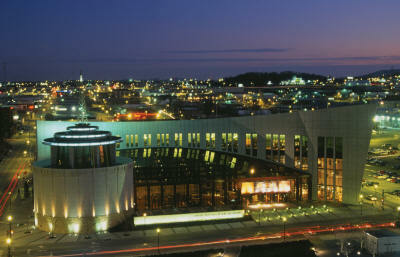 The Country Music Hall of Fame and Museum has a wealth of exhibits to introduce you to Music City and country music. This, too, is just a few steps from the historic Ryman Auditorium. Here you will see many treasures like Elvis Presley's gold Cadillac, Gene Autry's string tie, and the hand written lyrics to Momma Don't Let Your Babies Grow Up To be Cowboys. Another entertaining way to see and listen to country music is to take a ride on the General Jackson showboat. This 300-foot paddlewheel riverboat has four decks but performances are presented in the two-story Victorian Theater. March through December is the time for lunch and dinner cruises. Midday cruises on the Cumberland River include a country music show and lunch and evening cruises offer the show and a fine dinner. True country music lovers will want to visit Gruhn Guitars shop on Broadway. This shop is world famous for vintage instruments and has hundreds of the stringed instruments including acoustic guitars, electric guitars, banjos, basses, and mandolins ready to be inspected. Nashville has a variety of neighborhoods, each with its own distinctive flair. There is Germantown, for instance, Nashville's first suburb so named for the influx of German immigrants in the mid-nineteenth century. 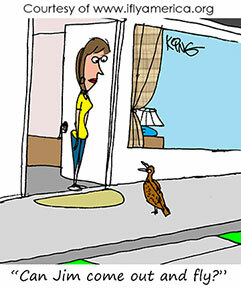 Now this neighborhood is closer to the center of activity. There is a downtown section of town but locals don't know it by that. But, ask where South Street is and they can tell you exactly how to get there. From this downtown section, walk approximately one mile along The Music Mile, which connects downtown with Music Row - the center of the recording industry. Here artists like Elvis Presley, The Everly Brothers, Brenda Lee, Vanessa Williams and others made recordings and where millions of copies were pressed. Music is but one of the many reasons for visiting this area. Nashville has a fascinating history and there are many points of interest here to show it. This city's history began more than 200 years ago when two groups of settlers built a fort on the banks of the Cumberland River. Nashville was the home three American presidents: Andrew Jackson, James Polk, and Andrew Johnson. Jackson arrived in town to serve as the public prosecutor, fell in love and built the plantation - The Hermitage - for his beloved Rachel. Be sure to drop over and visit the Hermitage, which today is much like it was when the Jacksons lived there 200 years ago. More than 95 percent of the furnishings are original to the home. The grounds contain replicas of slave cabins, a smoke house, and the first Hermitage home. 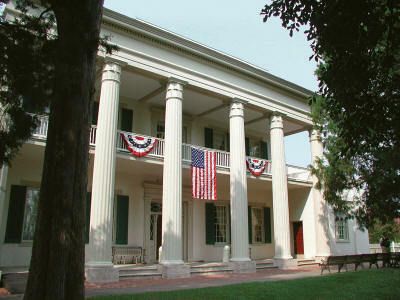 The Belle Meade Plantation started as a log cabin in 1907. It developed into one of the best-known farms for breeding racehorses. In 1881 a horse bred here had the honor of being the first American horse to win the English Derby. Thoroughbreds War Admiral and Sea Biscuit trace their lineage to Belle Meade. Over on Chestnut Street you will find Fort Negley, the largest and most important fortification built by Union troops occupying Nashville during the Civil War. The area known as The District is where you will shed your history lessons and join in the evening revelry. The District is crammed with nightclubs, bars and restaurants, most with live music. Bars along Printers Alley were set up during the depression of the Thirties. Local printers established bootlegging in their basements and many are operational today, the reason you will go down some steps to them. Many other interesting tidbits make this a sure place for you to visit. Interesting items like this being the home of Oprah Winfrey who got her start as the first female and first African American to be a news anchor on a television station in Nashville. Also, song writers along Music Row created custom scores for television shows such as Today, Dateline, King of the Hill, and Regis and Kelly. Additionally, this is where Joel Owsley Cheek invented a coffee blend and convinced the manager of the Maxwell House Hotel to serve it exclusively. It became so popular that Nashville was the center of the nation's coffee business in the early 20th century and the comment from President Theodore Roosevelt after he sipped a cup of the brew - Good to the last drop - remains as a slogan today. Music, memories, or magic moments - whatever your reasons may be, a visit to Nashville can make memories come to life and life become memories. Fliers have three good airports to choose from when going to Music City. The Nashville International Airport (BNA) is five miles southeast of the city. There are four runways. Shortest is 7703X150. Approaches are ILS, VOR/DME, NDB, ASR, GPS RNAV. A flight service station and four FBOs and an avionics service are on the field. Fees are: landing, ramp, parking, and hangar. John C Tune Airport (JWN) is a publicly owned field one mile northwest of the city. It has one runway 5500X100. Approaches are LOC/DME, GPS RNAV. There are no fees. Be alert for helicopter operations and deer in the vicinity. A privately owned, public use airport, Cornelia Fort Airport (M88), is five miles northeast of the city. t has one runway 3500X50, paved. No instrument approaches. Fuel is available and there are tiedown fees. Nashville has more than 32,000 hotel rooms ranging from small Bed and Breakfast locations to the Opryland resort and convention center with it 2,881 rooms. This is the largest non-gaming hotel in the United States. You have your choice of national chain facilities like Best Western, Days Inn, Hampton Suites, Doubletree, Hilton, or Holiday Inn, and others in downtown area, or a wide variety of choices in more suburban areas. You can also check rates and book your room and rental car at IFA's Online Travel Booking Service Deep discounts may apply. Almost any place you go in the Nashville area, the food is served with Southern charm. You will find ethnic dining facilities like restaurants in Germantown, Nashville's first suburb. At various restaurants in the area you will find on the menu a "meat-and-three." This is based on the serving of a meat with three side dishes. There is a typical New York delicatessen. A Nashville favorite for years in the downtown area is South Street Original Crab Shack and Authentic Dive Bar, or, as it is known to locals, simply as South Street. This Cajun restaurant serves large portions of spicy entrees of seafood and barbeques. The Broadway Brew House is another place to visit if you are a true beer connoisseur. They have 70 different beers on tap and another 100 or so in the cooler. Here you can enjoy New Orleans-style food. The area offers many different menus and price levels. When you visit Nashville, bring along a big appetite. Notice: This information is current as of December 2007. It is recommended that you contact the numbers, and/or visit the websites above to determine any changes to the information.